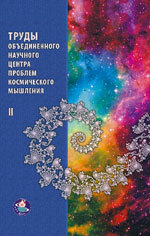 This publication features the materials of the International scientific and public conference organized by the International Centre-Museum by name of Nicholas Roerich in cooperation with the Integrated Research Centre for the Issues of Cosmic Thinking, Russian Academy of Natural Sciences, Russian Academy of Cosmonautics named after K.E. Tsiolkovsky, Institute of Natural Science and Technology named after S.I. Vavilov RAS, International Humanitarian Foundation ‘Knowledge’ named after K.V. Frolov, International League for the Protection of Culture, International Association of Peace Foundations, and Charitable Foundation by name of Helena Roerich. Media support for the conference was provided by the UN Information Centre, Moscow. The conference was held in October 2009. This publication features the essays by Nicholas Roerich, who had been interested in history and archaeology since his youth, and excerpts from Helena Roerich’s letters, full of lofty patriotism and care for her compatriots. The album part features the reproductions of paintings by Nicholas Roerich, reconstructing the atmosphere of the ancient times and picturing the monuments of ancient Russian architecture and the elevated images of the hermits who left a significant trace in the history of Russian culture. Let us Protect the Roerichs' name and heritage. Volume 5. Documents. Press publications. Essays. Moscow, International Centre of the Roerichs, Master-Bank, 2010, 1168 pp. Not long ago public celebrated twenty year since foundation by S. N. Roerich public Center–Museum by name of N. K. Roerich. Progress of this organization in preservation and exploration of the Roerich's family legacy and in culture development are well known all over the world. In the same time multidimensional activities of the ICR meet violent resistance of the old consciousness carriers – some scientists, literary men, journalists, representatives of Orthodox Church, government officials. Churchmen react against spreading the Roerichs Ideas and governmental officials do whatever they can to capture Cultural heritage of the Roerichs and to destroy The Museum by name of N. K. Roerich. In spite of such struggle, Center Museum by name of N. K. Roerich is leading researches of Living Ethics Philosophy and doing a lot of cultural and educational work, working fruitful. The collection includes sketches, letters, documents from which it is oblivious that situation around Roerich heritage and Museum by the name of N. K. Roerich is dramatic. 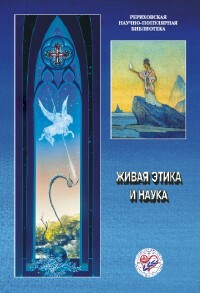 This is the fourth book by Svetoslav Roerich (1904-1993) in Russian published by the International Centre of the Roerichs. It features over forty works from the ICR archive dating from 1930 to 1980, all of them published for the first time. The articles from this collection, rather versatile in genre, are divided into ten thematic parts reflecting different aspects of Svetoslav Roerich’s activities, certain periods of his life, and his attitude towards different phenomena and personalities. Supplied with comments and notes and abundantly illustrated with photographs, this publication may serve as a kind of Guide through the biography of our eminent compatriot who was an artist, a humanist thinker, a naturalist, an enlightener, and a public figure of a truly universal scale. Collected Works by the Integrated Research Centre for the Issues of Cosmic Thinking. Vol.2. Moscow, International Centre of the Roerichs, Master-Bank, 2009, 556 pp., ill. This collective monograph develops a new scientific and philosophic trend basing on the principles of cosmic thinking. The authors strive to fulfill the idea of fusing science, art and spiritual practices. The doctrine of the Living Ethics and its actual cultural resources are viewed from the metascientific point of view. Especially notable are the authors’ dwellings on the tendencies of future human development. Some works, dealing with the paths of Russian, Indian, Chinese and Japanese peoples, take up the topics of cultural versatility and reveal the value of each unique experience and achievement. The worldview of such thinkers as Vladimir Solovyev and Ivan Bunin corresponds with the ideas of the Buddhist East. Since the deed of asceticism knows no temporal or state borders, the book also features original works on the life of a Japanese monk Ryokan, a Ukranian thinker Grigoriy Skovoroda, and a Russian metropolitan Arseniy. A Krymchak representative tells about the fate and spiritual culture of this ancient nationality. The spiritual creativity as the true destiny of the mankind stands as the central topic in the works by the philosophers and culture experts. The book is addressed to all those interested in the issues of new cosmic understanding, the synthesis of cultural achievements and the forthcoming changes in the human development. The third and final volume of the fundamental work on the history of Central Asia by the eminent Russian orientalist deals with the Mongolian times. The author examines the issues of the origin, formation, flourishing and decline of the great empire in the XII-XIV centuries within the framework of the world-systematic method of approach to the historical processes. Richly illustrated and supplied with maps, this publication will be interesting to the wide public, including specialists in cultural, historical, oriental, social, political studies and the researchers dealing with the scientific and philosophical oeuvre of the Roerichs. This publication is dedicated to the 130th birth anniversary of the eminent Russian thinker and writer Helena Roerich (1879 – 1955) whose oeuvre stands out as a very special phenomenon both in Russian and international science and philosophy. Her life's cause - the books of the Living Ethics, dealing with the issues of cosmic evolution of the humankind, - and her epistolary oeuvre have both laid a solid foundation for many cultural and spiritual processes of the 20th century. 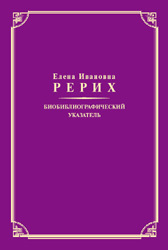 The publication is addressed to the researchers studying the life and art of Helena Roerich and to all those who want to get acquainted with her multifaceted activities and comprehend her evolutionary mission. 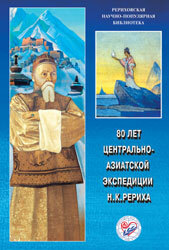 80 years of the Central Asian expedition of N. K. Roerich: Materials of the International Scientific and Public Conference - 2008. International Centre of the Roerichs, Master-Bank, 2009, 592 pp. This publication accumulates materials from International Social-Scientific conference. Organizer of the conference – International Center–Museum by name of Nicholas Roerich, with the participation of United Scientific Center of Space Mind problems, Russian Academy of Natural Science, Russian Academy of Cosmonautics by name of K. E. Ziolkowsky, Russian Academy of Education, International League for the Protection of Culture, International Association of Peace Foundations, Charitable Foundation by name of Helena Roerich. Conference was held with the assistance of UN information center in Moscow. Conference took place in October, 2008. The publication is compiled by the Director General of the Museum by name of Nicholas Roerich, Moscow, academician and honored art worker of the Russian Federation Lyudmila Shaposhnikova. It is dedicated to the unique event in the history of the 20th century, the Central Asian expedition (1923-1928) that not only was the most significant stage of Nicholas Roerich’s life, but also came as a landmark in the common history of the humanity and the spiritual evolution of the Earth. Chapters from the book ‘The Great Journey: the Master’ by L. Shaposhnikova and essays by Nicholas Roerich from the book ‘Shambalah’ allow the reader to attain a wide understanding of this historic event. The publication is abundantly illustrated with the works by Nicholas, Svetoslav and George Roerich and the photographs made by the Roerichs during the expedition from the ICR Manuscript Department. The appendix features reference materials on the expedition and its participants. The publication is addressed to the wide public and to the researchers studying the life and art of the Roerichs. This publication features about 200 photographs made by L.V. Shaposhnikova, acknowledged specialist in Indian studies and Nicholas Roerich’s artistic oeuvre, who went along the route of his Central Asian expedition in the 1970s. The photos depict not only the marvelous landscapes of Altai and the Himalayas, but also the customs, religious beliefs and culture of the nations inhabiting these areas, and the local people whom the author met along the route. This publication features the materials of the International scientific and public conference. It was organized by the International Centre-Museum by name of Nicholas Roerich in cooperation with the Integrated Research Centre for the Issues of Cosmic Thinking, Russian Academy of Natural Sciences, Russian Academy of Cosmonautics named after K.E. Tsiolkovsky, Russian Academy of Education, International League for the Protection of Culture, International Association of Peace Foundations and the Charitable Foundation by name of Helena Roerich. The conference was held in October 2007. The book's title reflects the modern realms. The amount of progressive scientists applying the ideas of the Living Ethics to their studies grows steadily, in spite of the resistance coming from the adherents of the outdated type of consciousness. The Living Ethics is a philosophy of Cosmic Reality accumulating a new cosmic way of thinking. Studying and using the Living Ethics, and, above all, the new cognition system, brings us to the new level of understanding Cosmos, man and society. The first issue of the collection features several articles published in the publications issued by RAS, state universities of Russia and Belarus and other scientific organs. They show the new Living Ethics cognition system's significance for the development of science and bring forth the first results of practical application of this philosophical system to solving scientific and philosophical problems. The conclusion is obvious: the modern science is actively absorbing the ideas of the Living Ethics. Fundamental both in geographical and temporal scope, this work by the eminent Russian orientalist deals with the main stages in the history of the Central Asian nations, with their great empires and glorious epochs of religious and cultural syncretism. 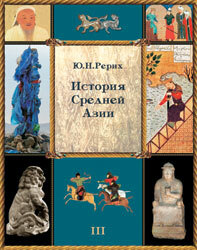 This research examines the events that evolved on the enormous territory of Central Asia in VI-XIII centuries. The publication is richly illustrated, with about 400 cultural and historical monuments of the examined period represented. The publication features materials of the International Scientific and Public Conference. It was organized by the International Centre-Museum by name of Nicholas Roerich in cooperation with the Integrated Research Centre for the Issues of Cosmic Thinking, International League for the Protection of Culture, International Association of Peace Foundations, Russian Academy of Education, Russian Academy of Natural Sciences, Russian Academy of Cosmonautics named after K.E. Tsiolkovsky, Charitable Foundation by name of Helena Roerich. The media support for the conference was provided by the UN Information Centre, Moscow and UNISEF. The conference took place in October 2006. Let us Protect the Roerichs' name and heritage. Volume 4. Documents. Press publications. Essays. International Centre of the Roerichs, Master-Bank, 2007, 992 pp. Every year International Center-Museum by name of N. K. Roerich that is found by initiative of S. N. Roerich, principal activity of which is Living Ethics Studies, strengthen its positions in cultural space of Russia and all over the World. The brightest evidence of it is the fact that more and more people are coming to the Center-Museum and are interested in the Roerich's world outlook, in new space thinking. However the more followers ideas of the Roerich and activities of the Museum by name of N. K. Roerich get the more violent resistance it meets from he representatives of the old consciousness carriers - some of the governmental officials, journalists, scientists and representatives of Orthodox Church. Actions of governmental officials are notably high-handed, in the end their aims are to capture heritage of the Roerichs and to destroy the Center-Museum. Meanwhile Roerichs, that left by will their creative legacy to Russia, always stood up for consolidation of spiritual values in life of human being, his humanistic mission. In the collection reader will find documents, letters and articles in which dramatic situation around the Roerichs heritage and Center-Museum uncovers itself. Lyudmila Shaposhnikova. Empire of the Roerichs. Collected articles in two volumes. Moscow, International Centre of the Roerichs, Master-Bank, 2006. Vol.1, 572 pp., ill.; Vol.2, 592 pp., ill. This publication is dedicated to the 80th birth anniversary of Lyudmila Shaposhnikova and the 55th anniversary of the start of her creative activity. An academician and an honored art-worker of the Russian Federation, she is the founder and Director General of the Museum by name of Nicholas Roerich in Moscow. The collection features many of her articles and speeches written and delivered in the past decade. The book is divided into parts reflecting the main directions of the scientific and publicistic work of the author. These are mainly the issues connected with the life and oeuvre of our great compatriots, the Roerichs, the philosophy of the cosmic reality called ‘The Living Ethics’, and the new cosmic world-view. The reader will also be interested in the articles about the predecessors and the hermits of the new thinking, such as the Hungarian scientist Choma de Kyoryosh, the eminent surgeon and tutor N.I. Pirogov, the philosopher and poet V.S. Solovyev, and several others. The articles and speeches by L.V. Shaposhnikova defending the name and heritage of the Roerichs against libel and the ill-intentioned distortion of their ideas and activities certainly bear special importance. Some of the articles featured in this publication tell about the long hard struggle for the preservation and development of the Museum by name of Nicholas Roerich, about the new cosmic art – the cosmism, and about the topicality of the Roerich Pact for the cause of defending culture in the modern world. The articles included in the parts ‘The Hermits’, ‘The Man-made Beauty’, and ‘Along the Roerich’s Route’ leave an impression of masterfully written pieces of fiction. The author manages to explain complex philosophical issues in a clear and understandable manner, which makes the book available to the wide public. 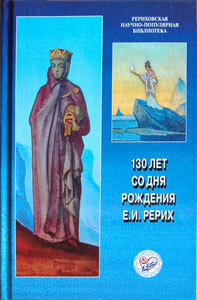 The publication contains colored reproductions of paintings by Nicholas and Svetoslav Roerich, M.K. Churlionis, K.A. Somov and other artists. The guide introduces the exposition of the Museum by name of Nicholas Roerich, Moscow and tells about the life and art of the Roerich family. Several chapters also deal with the history of the Museum and the cultural and enlightening activities by the International Centre of the Roerichs. 70 years of the Roerich Pact: Materials of the International Scientific and Public Conference - 2005. International Centre of the Roerichs, Master-Bank, 2006, 424 pp. Organizer of the conference – International Center–Museum by name of Nicholas Roerich, with the assistance of UN information center in Moscow, UNESCO Moscow Office, Charitable Foundation by name of Helena Roerich and Master Bank. Participants of the conference are Russian Academy of Arts, International Association of Peace Foundations, International Humanitarian Fund “Knowledge”, Russian Academy of Natural Sciences, International League for the Protection of Culture, Russian Academy of Cosmonautics by name of K. E. Ziolkowsky, Russian Academy of Education. Conference took place in October, 2005. The eminent figure both in Russian and international culture of the 20th century, Nicholas Roerich left us an abundant oeuvre. The humanist ideas it contains keep attracting more and more adherents among our contemporaries speculating about the man’s place in the world. It is the wisdom and humaneness that amaze us in the multifaceted personality of the Master. The book ‘Master’ opening ‘The Great Journey’ trilogy is written by Lyudmila Shaposhnikova who heads the Museum by name of Nicholas Roerich, Moscow. This is a captivating detailed story of life and art of the great Russian artist, scientist and philosopher, starting from his first artistic experiences up to the fulfillment of his aspirations towards serving the humankind. The reader will learn about the wide cultural and enlightening activities of Nicholas Roerich, the famous Roerich Pact, the Central Asian expedition and many other pages of the life of an outstanding person who left a world of Beauty to his descendants. The publication is illustrated with the reproductions of the artist’s paintings created throughout his artistic career. For the wide public. Lyudmila Shaposhnikova. The Great Journey. Book three: The Master’s Universe. Moscow, International Centre of the Roerichs, 2005, 1088 pp., ill. 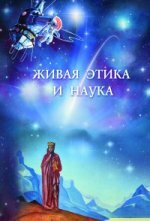 The book by L. Shaposhnikova, ‘The Master’s Universe’, closes her trilogy ‘The Great Journey’ about the genius artist and thinker Nicholas Roerich and his family. The reader will learn about the historical roots of the new system of cognition and about the forming of cosmic thinking. It was Russia that gave the ground for the new cosmic conscience or, how it’s often called, ‘the cosmism’. The great Russian scientists such as V. Vernadsky, K. Tsiolkovsky, A. Chizhevsky, P. Florensky and the eminent philosophers of the so-called ‘Silver Age’ such as S. Bulgakov, S. and E. Trubetskoy and others were the architects of the new pattern of thinking. Nicholas and Helena Roerich played the most significant part in this evolutionary process, having created the philosophy of Cosmic Reality called ‘The Living Ethics’ together with a group of Eastern Masters. This philosophy laid the foundation for the cosmic thinking and its new system of cognition. ‘The Master’s Universe’ tells about the main peculiarities of this philosophy and defines its role in the cosmic evolution of the mankind. The Living Ethics is the most important achievement of the Roerichs. In 1990, the Roerich’s younger son Svetoslav transferred the priceless heritage of his parents to Russia, represented by the International Centre of the Roerichs. This provided the basis for the new Museum by name of Nicholas Roerich, Moscow, which is now the main centre for the Roerich researches and for the comprehension of the processes evolving inside the new cosmic thinking. The abundantly illustrated book is written in an accessible fashion and will certainly be interesting to the widest public, both Russian and international. Nicholas Roerich. Man and Nature. Collected articles. 2nd edition, revised and corrected. Moscow, International Centre of the Roerichs, 2005, 140 pp. In the essays collected in this book Nicholas Roerich dwells on the spiritual comprehension of Cosmos, the Earth and the human being. It is the destruction of spirituality that caused the tragedy of nature in our century. There is arguably no-one who managed to convey this truth and this warning in such a clear and watertight form, rather than Nicholas Roerich. Roerich's soul is 'fused with nature, and nature certainly knows more than we do. Nature is life itself, and life is a path,' as Russian writer Vsevolod Ivanov wrote. The literary oeuvre of Nicholas Roerich, be it 'Pages of a Diary', scientific articles, plays, or poems, is an ardent call for the people to comprehend art and to unite in building the common culture. The profundity and scope of knowledge, accompanied by the experience in life and art, gave Roerich priceless material for many publications, some of which are featured in this book. The book is addressed to the wide public. Let us Protect the Roerichs' name and heritage. Volume 3. Documents. Press publications. Essays. Moscow, International Centre of the Roerichs, 2005, 1094 pp. Founded by the initiative of Svetoslav Roerich, the non-governmental Centre-Museum by name of Nicholas Roerich has been working successfully for as many as 15 years, implementing the multifaceted cultural and scientific activities and attracting more and more visitors from all over the world. At the same time, there are alarming events evolving around the Centre-Museum. The state officials seek to hinder the development of the Centre-Museum by name of Nicholas Roerich, trying to destroy it and take over the artistic heritage of the Roerich family. All this is happening against the background of the steadily intensifying libelous campaign against the Roerich and the Centre-Museum driven by some representatives of the Russian Orthodox Church, writers, journalists, and scientists. The Roerichs, who left their oeuvre to Russia, could not have expected that their philosophical and humanitarian ideas forming the foundation for the new cosmic understanding would be so defamed in their Homeland. The book features documents, letters, and articles, all of them telling about the dramatic situation around the heritage left by our great compatriots and the Centre-Museum by name of Nicholas Roerich. The year 2005 sees the 70th anniversary of the day the Roerich Pact, protecting the cultural values during the times of war and armed conflict, was signed. This special treaty developed by the eminent Russian thinker and artist Nicholas Roerich came as a significant contribution to the international relations. The Banner of Peace designed by Nicholas Roerich and declaring the treasures of culture and art as inviolable still flies over multiple cultural and enlightening institutions all over the world. The essays, letters and documents featured in the publication, allowing the reader to follow the basic stages of fulfilling the great peacemaking project, show the enormous efforts that had to be made to turn the idea of effective protection of cultural values into an actual international treaty. 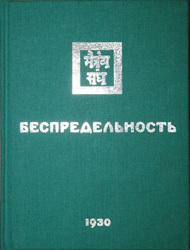 This publication features the materials of the International scientific and public conference organized by the International Centre-Museum by name of Nicholas Roerich with support of the UN Information Centre, Moscow, Moscow UNESCO Office, Charitable Foundation by name of Helena Roerich, and Master-Bank. The list of participants included the Russian Academy of Arts, Russian Cultural Foundation, International Association of Peace Foundations, International Humanitarian Foundation ‘Knowledge’, Russian Academy of Natural Sciences, International League for the Protection of Culture, Russian Academy of Cosmonautics named after K.E. Tsiolkovsky, and Russian Academy of Education. The conference was held in October 2004. George Roerich. 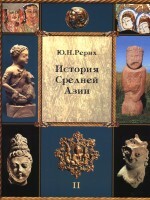 History of Central Asia. In three volumes. Vol.1. Moscow, International Centre of the Roerichs, 2004, 470 pp., ill. This fundamental work by the eminent Russian orientalist on the history of Central Asia summarizes and systematizes an enormous amount of facts and research achievements in this field. It deals with the period from the paleolith until the end of 14th century and describes the nomadic Asia as a natural, historical and cultural entity. Written from the new methodological point of view, the work by George Roerich attains special acuteness in our times, as the humanity is entering a new qualitative state – the global world. 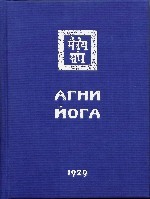 The publication is printed from the original manuscript stored at the ICR Manuscript department together with the rest of the Roerichs’ heritage transferred there in 1990 by Svetoslav Roerich. The book is richly illustrated, with over 300 cultural and historical monuments of the Central Asian nations represented. The outstanding Russian artist, enlightener and public figure Svetoslav Roerich (1904-1993) authored many articles and essays on the issues of art, spiritual and moral development of the mankind, evolutionary role of beauty and culture. 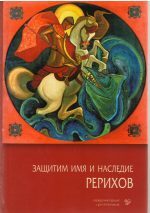 The bio-bibliographical index features the published works by Svetoslav Roerich, including catalogues and other …… and many works on his life and oeuvre. 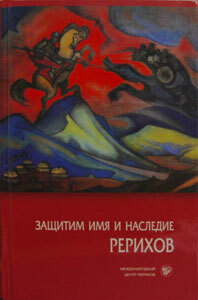 The publication also contains a detailed ‘Chronology of life and art of Svetoslav Roerich’ compiled by K.A.Molchanova. The index is addressed to the scholars studying the life and art of Svetoslav Roerich and to all the admirers of his talent. Memoirs about Svetoslav Roerich. Moscow, International Centre of the Roerichs, 2004, 240 pp., ill. Collected memoirs about the outstanding Russian artist, thinker and public figure Svetoslav Roerich whose 100th birth anniversary was celebrated in October 2004. Most of the essays are published for the first time. The publication is illustrated with photographs from the authors’ own archives. The Community (Riga). Moscow, International Centre of the Roerichs, Master-Bank, 2004, 328 pp. The Community (Urga). Moscow, International Centre of the Roerichs, Master-Bank, 2004, 304 pp. Leaves of Morya's Garden. Part II. The Illumination. Moscow, International Centre of the Roerichs, Master-Bank, 2003, 328 pp. Leaves of Morya's Garden. Part I. The Call. Moscow, International Centre of the Roerichs, Master-Bank, 2003, 400 pp. Memoirs about George Roerich. Moscow, International Centre of the Roerichs, 2002, 152 pp., ill. Collected memoirs about the eminent Russian orientalist and linguist George Roerich, whose 100th birth anniversary was marked in August 2002. Most of the essays are published for the first time. George Roerich. Buddhism and Asian Cultural Unity. Collected articles. Translated from English by A.L. Barkova, from French by A.A. Soboleva, from Tibetan by V.S. Dylykova-Parfionovich. Moscow, International Centre of the Roerichs, 2002, 128 pp, ill. 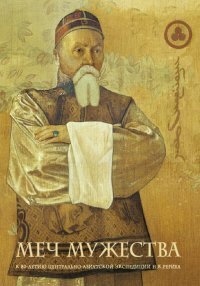 These collected articles by George Roerich, an eminent Russian orientalist and linguist, are dedicated to the history of Tibetan Buddhism, art and archaeology. All texts are provided by the archive of the International Centre of the Roerichs. It is the first time that these works are published in Russian. 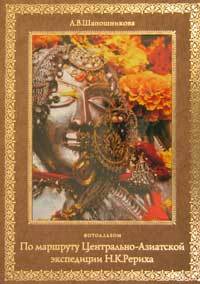 The publication is illustrated with the photographs of Indian, Middle-Asian and Tibetan Buddhist monuments. George Roerich. Bio-bibliographical Index. Compiled by N.K. Vorobyeva, M.S. Bukharkova, V.I. Shishkova. Moscow, ICR, 2002, 80 pp. The bio-bibliographical index of the works by the eminent Russian orientalist George Roerich (1902-1960) is compiled by the employees of the Research Library of the International Centre of the Roerichs, Moscow. The index aims to represent the comprehensive works by George Roerich in different languages and from different periods. The book is addressed to scholars specializing in George Roerich’s oeuvre and to his admirers. George Roerich's work 'Tibetan painting', published in English in Paris (1925), remains one of the main sources on the Tibetan iconography. Its present translation follows its original style with highest accuracy, just as it preserves the exact transliteration of the oriental terms. The appendix features the description of the ICR Buddhist painting collection. With its rich illustrative material (51 colored ill. and 17 toned ill.) and accessible voice, this publication is useful both for professional orientalists and for all those interested in Tibetan and Central Asian art and culture. The book is supplied with an index, a terminological glossary and other reference materials. N.K. Roerich. Pages of a Diary. Volume one–three, 2nd edition. Moscow, International Centre of the Roerichs, 1999, 672 pp, toned ill.; 2000, 512 pp, toned ill.; 2002, 672 pp, colored and toned ill. In 1934-1935 Nicholas Roerich organized a large-scale scientific expedition to Northern China and Inner Mongolia. In this period he managed to write over 200 essays for ‘Pages of a Diary’ that compound the first book of this edition. No matter which topics Nicholas Roerich touches upon (and the scope of these topics is truly immense), it was the spiritual and moral development of the humankind and the connection of human life with the Great Cosmic Laws that remained his main interest. In his essays he dwells on the past, present and future of the humankind. The unique philosophic oeuvre left by Nicholas Roerich is a source of true spirituality for our contemporaries. The second book of ‘Pages of a Diary’ features the essays written between 1936 and 1941, covering the events of the turbulent pre-war times and the beginning of the Second World War. They reflect the external policy of the leading world powers, the struggle to preserve the cultural monuments, and the support and development of the movement to adopt the Roerich Pact. Many of the essays relate to the outstanding scientists, writers, artists, musicians, political and public figures. The third volume of the book ‘Pages of a Diary’ by N.K. 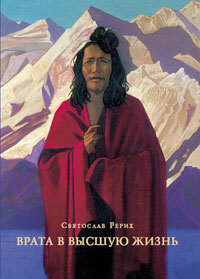 Roerich features the essays and letters from the last years of his life (1942 – 1947). Written in the grim years of the Second World War and the post-war devastation, they bear a call for the cultural unity of the humankind and the service for the sake of Homeland, just as they teach us to perceive the Eternal and the True. The texts included in ‘Pages of a Diary’ are reprinted from the archival materials provided by the International Centre of the Roerichs. Lyudmila Shaposhnikova. The Great Journey. Book two: Along the Master’s Route. Part I. Moscow, International Centre of the Roerichs, 1999, 400 pp., ill.; Part II. Moscow, International Centre of the Roerichs, 2000, 544 pp., ill. This is the second book of Lyudmila Shaposhnikova’s trilogy ‘The Great Journey’, called ‘Along the Master’s Route’ (the first book, ‘The Master’, came out in 1998 and became an immediate success). Lyudmila Shaposhnikova, a renowned specialist in Indian culture studying the oeuvre of Nicholas Roerich, went along the route of his Central Asian expedition in the 1970s. The amazing landscapes of Altai and the Himalayas, the history, customs and culture of the nations living in these regions, meetings with different people, conversations about the Roerichs – this is the contents of this poignant, captivating book. Nicholas Roerich. Bio-bibliographical Index. Moscow, International Centre of the Roerichs, 1999, 232 pp. This bibliographical index covers the works of Nicholas Roerich, an illustrious Russian artist, philosopher, scientist, public figure and traveler. The index includes the main dates of Nicholas Roerich’s life and creative work, a short biography, a comprehensive list of his works, letters, reproductions of his paintings, and the works on his life and activities. The bibliographical index is accompanied by a critical apparatus consisting of name references and an alphabetical index of Nicholas Roerich’s works. The book is addressed to the researchers studying the life of Nicholas Roerich, and his admirers. George Roerich. Materials of the Anniversary Conference of 1992. Moscow, ICR, BISAN-OASIS, 1994, 95pp. 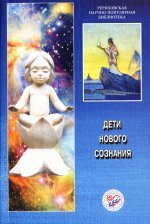 The publication contains the materials of the Scientific and public conference dedicated to the 90th birth anniversary of George Roerich. This conference, organized by the International Centre of the Roerichs in cooperation with the Siberian Roerich Society, Nicholas Roerich Museum in Izvara, Research Cabinet named after George Roerich at the Oriental Institute of RAS, Moscow, highlighted the multifaceted personality of this great Man and Scientist.